Do you wish to train your full of energy dog with fun and pleasure? 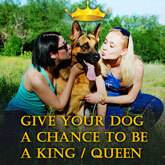 Do you want your beloved friend to succeed in retrieve training? Have you already found the best item for this purpose? If no, you haven't probably heard anything about this Innovative Chew Dog Ball made of special rubber. The material, this dog ball is made of, is extremely durable and non-toxic. There is no vinyl, phthalates and latex. Having special light-weight construction, this dog ball is perfect for playing in water. It doesn't sink thanks to a special rubber material. Thus, it is a perfect toy for fetching fun at a lake or beach. Besides, this ball is equipped with a strong colorful rope. That's why, it is ideal for throwing and tug. Just throw this super light-weight ball so far and enjoy your fast runner! This dog ball is produced of the strong special rubber, that is absolutely safe for the dog's health and will serve you for a long time. 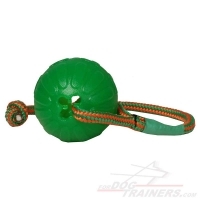 Due to this material, the ball is perfect to tug, chew, throw and roll. Due to the light weight, it is possible to play in water with this dog toy. The ball is equipped with bright nylon rope for more convenient use. You can roll and throw the toy for far distance easily. 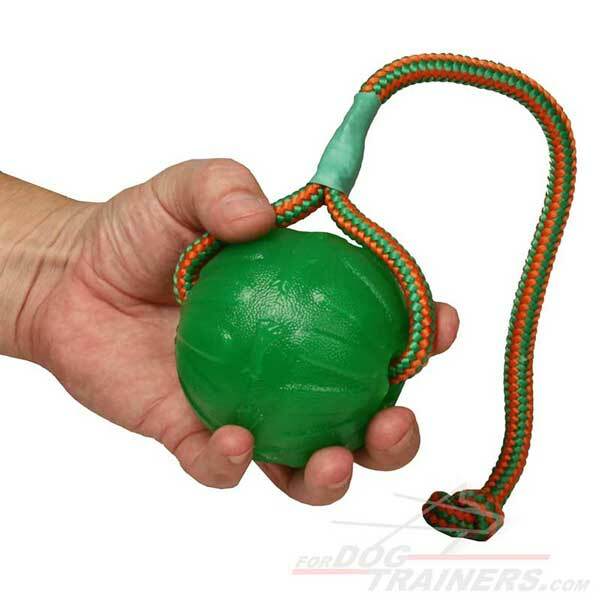 Hurry up to purchase this attractively designed chew dog ball at an affordable price. Enjoy dog training and playing activities together! If you need treat dispensing chew dog toy, choose this excellent quality "Treat Challenge" Rubber Dog Ball! Note! Always keep your dog under control while playing in water to overcome any unwanted results.